We have a peal of six bells, rung for Services and Weddings. Practice night is Thursday evening from 8-9 p.m. Learners are always welcome but children must be twelve years old and must be accompanied by a parent for the practice. Upper age limit for learners depends on fitness. 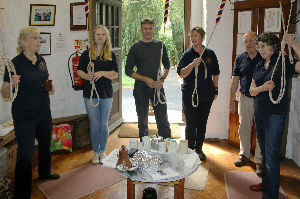 Click here for a document describing the church bells and how they are rung.